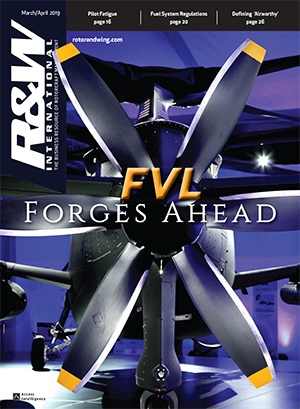 A round-up of new product developments and orders from helicopter manufactuers, vendors. 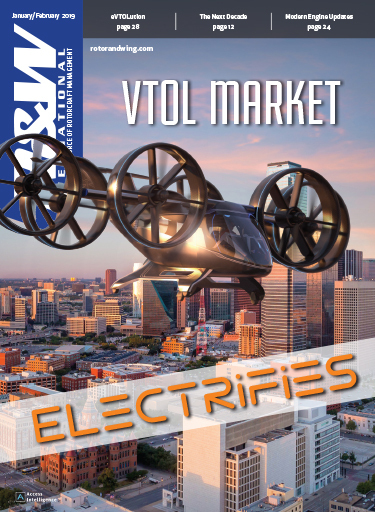 THE LAST YEAR SAW A HOST OF INTRIGUING, USEFUL, and promising products to the rotorcraft marketplace. Here’s a sampling of them. A109 LUH: On April 4. AgustaWestland delivered the first two A109 Light Utility Helicopters to the Swedish Armed Forces, part of an order of 20 powered by Turbomeca’s Arrius 2K2. The A109 LUH will carry out EMS, surveillance, troop transportation and rescue missions. A109 LOH: Malaysian Army Aviation in September took delivery of its 11th and final A109 LOH. The primary purpose of the LOH is to serve as a cost-efficient system for observation, reconnaissance, tactical transport and area-suppression missions. A109 Power: Three A109 Powers have entered service April 1 with the British Royal Air Force 32 (The Royal) Squadron under a five-year, civil-owned/military-registered (COMR) contract for a total of 900 hr a year being of flight time. The aircraft will be flown by Royal Air Force pilots. The Latvian State Border Guard in early February ordered two A109 Powers for the State Border Guard Aviation Service for patrolling the eastern European border and other law enforcement missions. The Medair subsidiary of the Turkish Esas Holding ordered an A109 Power for air taxi, VIP, and EMS activities. AgustaWestland delivered the first A119 in VIP configuration to Kaan Air in Turkey. A second will be delivered to Kaan Air in 2007. The Japan National Police Agency in June ordered four law-enforcement A109 Powers as part of an on-going program to modernize its police helicopter fleet. Earlier in the year, three A109 Powers and one AW139 were delivered to the Japanese Police. In June, AgustaWestland sold one A109 Power, two CA109 Powers and one AW139 to China’s Beijing Municipality Public Security Bureau to provide law enforcement, particularly during the 2008 Olympic Games. The contract for the A109 Powers and the AW139 has been awarded to AgustaWestland. The contract for two CA109 Powers has been awarded to the joint venture Jiangxi Change Agusta Helicopter. The South African National Port Authority in September ordered the A109 Power for its Harbour Pilot Shuttle (HPS) service in Richards Bay. The NPA has since 1998 been operating A109K2s. Aerolineas Ejecutivas of Mexico in August signed a five-year distribution agreement that includes an initial contract for five helicopters comprising two A109 Powers and single examples of the A119 Koala, Grand and AW139, plus options for 37 helicopters over the next five years. AgustaWestland in September delivered its first Grand and first AW139 to South Africa. The Grand was configured with a six-passenger VIP interior; the VIP- configured AW139 was painted in a spectacular customized color scheme. A119 Koala: The Phoenix Police Air Support Unit took delivery of its first of three A119s configured with new high-tech, mission-specific electronic equipment for its law enforcement role in February at Heli-Expo in Dallas. The delivery built on the earlier delivery of one A109 Power at the end of 2005. Also at Heli-Expo, Skyline Helicopters of British Columbia ordered one A119 for geo-seismic assessment, research and heli-skiing. Brazil’s Synergy Aerospace in July signed a multi-year contract and distribution agreement that includes the acquisition of A119s, A109 Powers, Grands and AW139s over three years. The helicopters will be used, sold and leased by OceanAir Táxi Aéreo, a subsidiary of Synergy Aerospace, primarily for VIP/Corporate and offshore transport. AW139: Mitsui Bussan Aerospace of Japan in February signed a $100-million contract for 12 AW139 and an exclusive distributor agreement for the AW139 in Japan. The first aircraft under this contract will be delivered in 2007. Mitsui Bussan already ordered three AW139s. Also in February, Era Aviation took delivery of its third of 20 AW139s at Heli-Expo in Dallas. 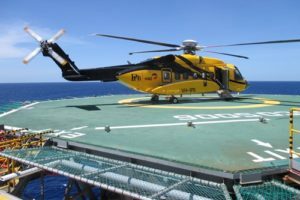 In June, the Queensland Government of Australia signed a contract for three AW139s for SAR and EMS missions. The Japanese Coast Guard in October selected the AW139 to replace its aging Bell 212’s for deployment at SAR bases throughout Japan. Three helicopters have been ordered this year as the initial phase of a replacement program for up to 24. In August, the Irish Air Corps received its first of four AW139s. This was the first delivery of an AW139 to a military customer. The Irish Air Corps will use the aircraft for a range of duties, including transport of special operation units of the Defence Forces, air ambulance, overland SAR and VIP transport. Grand: AgustaWestland sold a Grand light twin to a private operator in the Philippines. In March, Cosan SA took delivery, the first in Brazil; it will use the aircraft to shuttle passengers between its plants and distilleries. Mexico in July ordered three Grands and five A119 Koalas for a range of roles, including civil protection and EMS. Deliveries of the aircraft started immediately and are to be completed by mid-2007. In September, In September, the Swiss air-rescue group, REGA, ordered eight Grands. EH101: In March, Kawasaki Heavy Industries delivered the first of 14 EH101s to the Japanese Maritime Self Defence Force. The Japanese Defence Agency ordered the aircraft to meet its transportation, airborne mine countermeasures and antarctic support requirements. They will replace the JMSDF’s fleet of Sikorsky MH-53Es and S-61s. AgustaWestland and Kawasaki signed a licence and purchase agreement in 2003 to produce and support the Japanese EH101s. KHI has now established manufacturing, test flight and support facilities at its Gifu works in Japan. The Portuguese Air Force in July received its 12th and final EH101. The Combat SAR variant joined the other 11 aircraft operated by 751 Sqdn. at Montijo Air Base and at the Porto Santo (Madeira island) detachment. 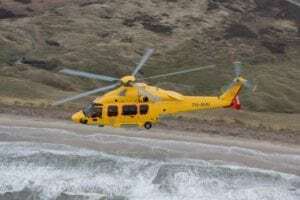 The Italian Civil Protection agency in July ordered a AW139 that will as an airborne command post to support and supplement disaster relief efforts at national, regional and local levels. Super Lynx 300: The first of four Super Lynx 300s for South Africa took to the air for the first time April 24 at AgustaWestland’s Yeovil, United Kingdom factory. The fully marinised Super Lynx 300 are equipped with a range of advanced sensors. 206: The City of Dallas in May ordered three new Bell helicopters — two 206B3s and a 407 — for its police department to replace its aging fleet. The three aircraft will be used for aerial law enforcement missions throughout the City of Dallas, flying an average of 2400 hr a year. The City of Chicago placed an order for a new Bell 206B3 for use by its police department, scheduled for delivery in November. 412EP: In September, Keystone Helicopter completed and delivered two new, state-of-the-art, multi-mission Bell 412EPs for the Los Angeles County Fire Dept. Air Operations Section. Installed equipment included a night-vision goggle-compatible instrument suite, a rescue hoist with digital camera and recording system, custom-designed water drop tank controls, quick-change seating and a medical interior with two removable medical litter assemblies. 417: At Heli-Expo, Bell Helicopter introduced its new Bell 417. "The Bell 417 is our answer to the customers’ demand for a powerful single engine, helicopter with unmatched hot and high hover capability," said Bell CEO Redenbaugh. The Bell 417 is designed to maintain the legacy and reliability of the 407 and improve on it with even more power, more payload and improved hot and high performance. The Bell 417 will include a modern, Chelton glass cockpit and the new Honeywell HTS900 turbine engine delivering more than 970 SHP. At Heli-Expo, Bell Helicopter introduced its new Bell 417. "The Bell 417 is our answer to the customers’ demand for a powerful single engine, helicopter with unmatched hot and high hover capability," said Bell CEO Redenbaugh. The Bell 417 is designed to maintain the legacy and reliability of the 407 and improve on it with even more power, more payload and improved hot and high performance. The Bell 417 will include a modern, Chelton glass cockpit and the new Honeywell HTS900 turbine engine delivering more than 970 SHP. AS350: The Texas Department of Public Safety in February purchased what American Eurocopter said was the first entirely "Made in America" Eurocopter AS350B2. The aircraft was built at American Eurocopter’s state-of-the-art 85,000-sq-ft facility in Columbus, Miss., which also has FAA approval to build the AS350B3. In May, the San Bernardino County, Calif. Sheriff’s Dept. took possession of an AS350B3 today, the fifth A-Star for the department, which patrols the largest county in the continental United States. Also in May, the San Diego Police Dept.’s Air Support Unit received the keys to the first of four new AS350B3. In June, the Riverside County, Calif. Sheriff’s Dept. took delivery of its third AS350B3 and the Washington, D.C. Metropolitan Police Dept. deployed its second, doubling its helicopter fleet. In September, Air Methods Corp., one of the largest air medical transportation providers in the world, signed an MOU with American Eurocopter to purchase 10 AS350 B2/B3s annually on an indefinite basis. MedFlight of Ohio added a new AS350B2 helicopter to its fleet. Baltimore County, Md.’s Police Dept. expanded its aviation unit with the purchase of three AS350B3s. 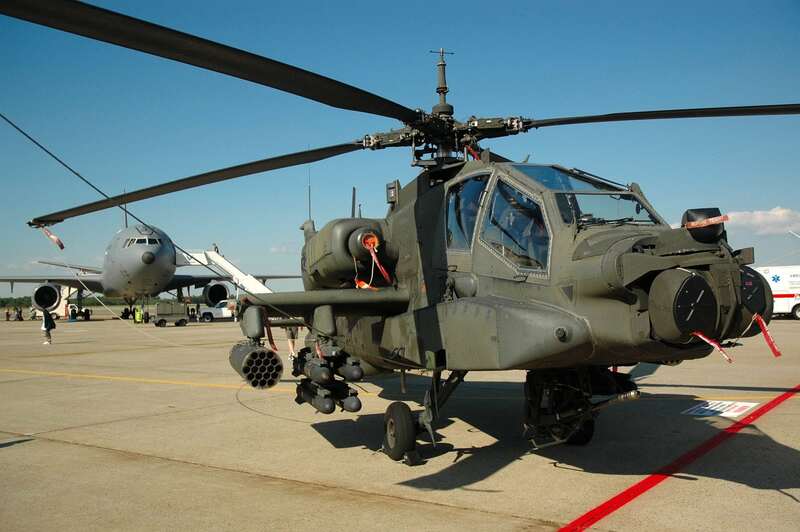 They will replace three Bell OH-58s. EC120: Texas rancher Dianna Stanger in February ordered an EC-120 to help cover around her 7,700-acre Wolf Point Ranch on Texas’ Gulf Coast. Twelve years after its aviation unit was decommissioned due to a city budget crisis, the Miami Police Dept. is back in the air with a brand new five-seat EC120. EC130: Maverick Helicopters of Las Vegas bought nine EC130B4s in February. In June, the company ordered 14 more. It specializes in heli-tours of the Las Vegas Strip and the Grand Canyon, plus corporate and charter wedding flights. Eurocopter Chile S.A. in March sold an EC130B4 to Aero Service. It will be the fourth of its type in Chile. EC135: CJ Systems ordered 10 EC135s from American Eurocopter as part of a continuing fleet modernization process. They are to be delivered between June 2007 and the end of 2008. In April, American Eurocopter delivered El Paso Corp. its first EC135 as part of that company’s offshore fleet replacement initiative. The University of Pennsylvania Health System in September added to its four-helicopter fleet with the delivery of two new EC135s. Eurocopter, through its representative Heli Invest, in October sold two aircraft — an EC135 and an EC145 — to corporate customers in Poland. Air Methods Corp., one of the largest air medical transportation providers in the world, signed an MOU with American Eurocopter to acquire an additional 15 EC135s. EC135T2i/P2i: This variant, powered by the Turbomeca Arrius 2B2 (T2i) or Pratt & Whitney PW206B2 (P2i) is designed to offer more payload, performance, and range. Its increased TOW is complemented by an EW reduction to 3,200 lb (1,455 kg), producing an EW ratio of 50 percent. EC145: In May, Allegheny General Hospital selected four EC145s to replace four MD900s being used by its renowned LifeFlight AMS service. The EC145 was introduced in the Gulf of Mexico’s highly-demanding offshore operating environment by Taylor Energy, a New Orleans-based independent oil and gas production company that already utilizes a fleet of five EC130s and EC135s. STAT MedEvac in May took delivery of its third EC145. Geisinger Life Flight in September ordered up to five EC145s to replace Eurocopter BK117s and Sikorsky S-76s in its fleet. Travis County, Texas, STAR Flight took delivery in February of a new EC145 It anticipated taking delivery of a second this year. EC175: To be developed 50/50 by Eurocopter and China AVIC 2, the EC175 is to be certified for two-pilot IFR and single-pilot VFR operations when carrying up to 16 passengers. The helicopter will have a radius of action of 200 nm at a speed of 150 kt. EC225: Era Helicopters of Lake Charles, La. in February became the first North American offshore operator to have selected the EC 225 for oil and gas services. At Heli-Expo, it ordered two. China’s Ministry of Communications in May ordered two to EC225s for SAR duties with its Rescue and Salvage Bureau. 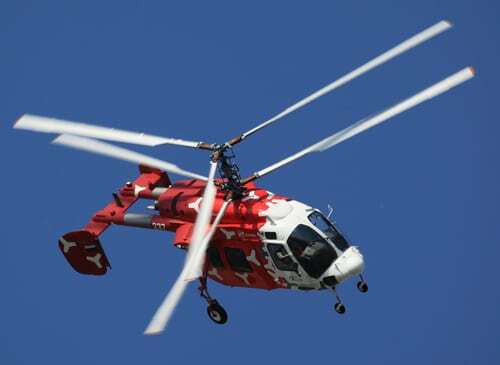 In July, China’s Citic Offshore Helicopter Co. Ltd. ordered two EC225s. COHC is the largest offshore helicopter operator in Asia. These aircraft will be delivered at the end of 2007, and will be the first EC225s to be equipped with auxiliary pod tanks offering a radius of action greater than 250 nm for public passenger transport missions (including the regulatory fuel reserves) while maintaining the 19-passenger nominal capacity. EC635: The Royal Jordanian Air Force placed a firm order for four additional EC635 light twins. This new order will further increase the existing fleet of EC635 in operational service with the RJAF. Two were be delivered at the end of 2006, the other two in early 2007. In April, the Swiss procurement agency, armasuisse, ordered 20 EC635/EC135s for the armed forces under the Swiss Light Transport and Training Helicopter (LTSH) program. Of the 20, 18 will be for utility and advanced training missions and two will be for VIP/parliamentarian transport missions. EC725: On May 10, the French air force decalred its combat SAR EC725s operational. The EC725 launch customer, that service plans to ultimately operate six. The French army is to acquire eight for special operations duties. The FAA in early June approved a revision to the type certificate modifying its NOTAR tail boom to give the aircraft greater directional control authority and allow it to operate at a max gross weight of 6,500 lb. at 5,000 ft. MD was pursuing FAA approval by late this year to operate at 6,500 lb. at 7,000 ft. and fly in excess of 125 kt. at that weight and altitude. MD in March said beginning with 2007 aircraft deliveries, all its products would include wire-strike protection, cockpit voice and video recorders, health and usage monitoring systems (HUMS), and terrain awareness warning system (TAWS). Additionally, a Fly Safety Training package would be added to its training program. MD600N: In May, the Turkish National Police took delivery of five MD 600Ns. The aircraft, the remaining five of 10 ordered by the police, are to be stationed in varied locations throughout Turkey. Australia approved on June 19 the acquisition plan for 34 NH90s in addition to the first batch of 12 MRH90s orderd in June 2005. The additional order will allow the Australian Defence Forces to replace both ageing Sea King and Black Hawk helicopters. S-76: The manufacturer in January delivered the 600th S-76. In February, LG International ordered a S-76C++ for VIP transport. The C++ includes a series of engine, air vehicle, interior and avionics upgrades that make the way for a set of additional product improvements that will lead to the launch of the new S-76D model in 2008. 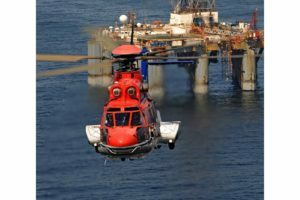 Malaysian Helicopter Service ordered three S-76C++s for use in the offshore oil market by ExxonMobil. 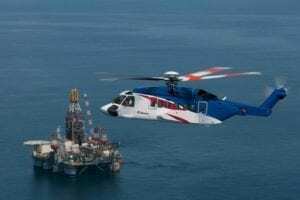 The new contract, which included a complete support package, and signified the first aircraft replacement by Sikorsky for Exxon Mobil in the Malaysian region in 14 years. The helicopters are scheduled for delivery in July 2007. Sikorsky subsidiary Keystone Helicopter in May delivered the 10th and 11th S-76C+ SAR aircraft to AB Norrlandsflyg in Galivare, Sweden. Aero Med Spectrum Health of Grand Rapids, Mich. in October ordered a new S-76C++ equipped for critical care transport. S-76D: In May, Sikorsky signed position assignment agreements with Premier Aviation Services Ltd. of Ireland for two S-76Ds. This represents the first European customer for the S-76D, and both aircraft will be used for VIP and executive transport missions. Bell Helicopter on Sept. 11 issued Information Letter 206L-06-81, citing a "recently issued" FAA STC to Boundary Layer Research permitting the installation of tailboom strakes. "While Bell has no knowledge regarding the designing and testing of these strakes," the letter said, "the monocoque tailboom structure of the 206A/B and 206L series helicopters was not engineered to accommodate the attachment of extraneous items like these strakes. Floats and Fuel Cells of Memphis, Tennessee is offering the general aviation industry a 10-year warranty on its fuel cells. Each fuel cell manufactured by FFC is produced from a tough, resilient nitrile fabric developed to withstand the elements detrimental to long life. Every fuel cell is autoclaved through a process of controlled heat and pressure to ensure a permanent bond of all components. FFC manufactures and repairs more fuel cells than any other company worldwide and claims to offer the fastest turn-around time in the industry for AOG or routine repairs and largest stocked inventory. Sky Connect offers a range of satellite-based tracking and telephone systems for rotorcraft, fixed-wing, ground-based, and marine applications in both the commercial and government markets. The Sky Connect TRACKER provides seamless global flight tracking with true worldwide pole-to-pole coverage. Phone systems range from a cordless cabin-class handset to an integrated sat-phone systems that communicate through the headset. Any Sky Connect satellite phone may be equipped with the TRACKER using the same transceiver and a single antenna. Sky Connect uses the Iridium satellite network for maximum coverage and effectiveness. One of the pleasant surprises of 2006 may not yet be apparent to most helicopter owners and operators. A variety of financial factors, including buyouts of some top executives and the recent revival of stock markets, have left many wealthy investors even more flush and looking for other places to invest. The booming nature of the helicopter industry over the last couple of years has increased the demand for insurance services. Turns out aviation insurance has regained its appeal as a good place to invest, which has drawn investors to the market. The result is good news for people who pay insurance premiums. 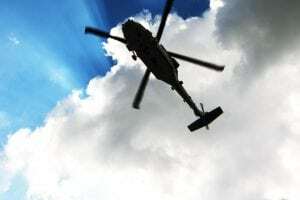 Insurance companies will soon be fighting for helicopter operators’ business, driving premiums down and pumping more underwriting dollars into the market, according a top aviation insurance broker. Larry Mattiello, president of the brokerage Airsure Limited, said musical chairs among top insurance executives and the high level of activity across the board in helicopter operations are combining to lure insurers that have shunned the general aviation market. With just a handful of insurers in the market, operators had to fight recently just to get coverage and swallow premium increases in the process. "For the next two years as a consumer, you’re about to have one of the best rides of your life watching aviation insurance companies battle for your business," he told operators gathered in Dallas May 4 for a safety forum hosted by FlightSafety International. Mattiello said the developing situation is unprecedented "in my nearly 30 years in the business." Since the start of the year, top executives of major insurers like USAIG have retired only to start up new operations targeting aviation markets. At the same time, said Mattiello (who also serves as insurance advisor to the Helicopter Assn. International), property-and-casualty insurers that have avoided aviation are on the prowl for experienced underwriters to help them set up aviation units. While that may be good financial news for operators, it may undercut efforts to raise safety standards. Leaders of the International Helicopter Safety Team have pointed to lower premiums based on strong training, equipment and safety records as one motivation for operators to get behind their drive to lower helicopter accident rates 80 percent in 10 years. Likewise, operators who through stringent training, equipment and operational requirements have gained the financial edge of lower premiums over less diligent competitors may see that edge dulled. "In order to get their portfolios up and cash flowing," Mattiello said, insurers "will compromise underwriting standards to get that business. I’m afraid that’s going to happen to extremes. It will be a problem. Other drivers, other motivators in the insurance financial world" than training, equipment and operating records will come into play in setting premiums. Swiss aircraft instrument maker Revue Thommen is targeting the rotary-wing market across a variety of platforms with products that include altimeter air-data displays, airspeed indicators and vertical speed indicators. 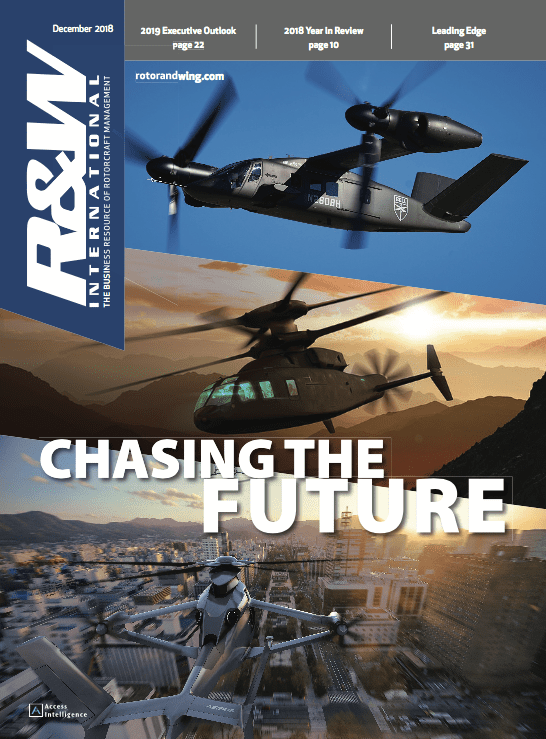 The company has been working with Agusta Aerospace Corp., the U.S. subsidiary of AgustaWestland, for more than two years on a joint design venture, with their engineers collaborating on an open-architecture air data system to integrate in their A109 Power cockpit. This system has undergone flight testing in Italy and was expected to go in new-production aircraft by year’s end. The goal of the design effort was to convert existing cockpits with the same MMI (Man/Machine Interface) into next-generation flight decks with other systems that need air data based on an ARINC 429 databus. Operators of fleets of existing A109 Power and other aircraft can now integrate this new open architecture system with limited impact on the pilot and aircraft operation. V.I.T. Engineering GmbH (VIT) has released a new version of VIT1000, intended for private pilots and special-purpose airplane and helicopter operators. VIT1000 is a portable glass cockpit system designed to enhance safety and increase pilot efficiency at a fraction of acquisition, maintenance and training costs of similar but "installed" systems. VIT1000 is based on modern computer and microelectronic technology, highly reliable and fast to deploy, that fits into a briefcase and offers a complete solution for navigation, instrument flight and even more. The system affordably brings advanced piloting and navigation tools (EFIS, Flight Management, Flight Director, Electronic Flight Bag). Easy navigation using a moving maps (3D,2D, taxi maps and others) and accurate aircraft guidance along the programmed trajectory during day-time or at night, in any weather conditions, flexible approach and landing pattern programming, capability for a low altitude flight, following of the terrain with hills, and for obstacle avoidance using digital pictures of terrain. AvMap/Navigation has introduced the EKP-IV PRO portable GPS moving map system, specifically designed for law enforcement, Search And Rescue (SAR) and homeland security customers. The EKP-IV PRO is an upgraded version of the EKP-IIIC PRO system that has been available to customers in the law enforcement sector for the past few years. "The EKP-IV PRO has been designed with input from our special operations customers, integrating mission-specific features," said Ken Cirillo, general manager of AvMap Navigation. The enhancements to the PRO include: SAR patterns (Expanding Square, Rectangle & Circle) with User-Definable Planning; regional detailed TeleAtla Street/City data, Street/City Address Search capability, Pilot Configurable Alarms (for TCAs) and compatibility with a special NVG screen film (that can be removed when not needed). New for 2006: TAWS, Victor Airways and Private Airports. Aerosimulators last month earned FAA approval of its AS-PHS-B206. The Belgian company claims that makes it the first low-cost helicopter flight training device to meet both JAA Flight Navigation and Procedures Trainer and FAA Flight Training Device requirements as an Advanced Aviation Training Device. Working closely with its customer Helicopter Adventures in Titusville, Fla. and the FAA, the company was able to have the regulatory review completed Nov. 1. "The intelligent application of state of the art technology is the hallmark of Aerosimulators," said Mike Coligny, CEO of Aerosimulators USA. "Its implementation at Helicopter Adventures will result in more knowledgeable pilots with higher skill levels that will continue to support them for their entire aviation career." Under FAR Part 141, pilots have logged up to as much as 27 out of 35 hr of credit to train for an instrument rating and 20 hr of credit against 40 hr required under Part 61. Further, pilots may maintain their IFR proficiency in the simulator. Standard features of the device include a large visual display (175X75-deg), turbine start up, Garmin 530 GPS and the Optical Crew Resource Analyzer (OCRA) available only in Aerosimulator’s devices. The analyzer tracks and videotapes a trainee’s eye movement during a session, permitting finer analysis of instrument scan and other piloting techniques. www.aerosimulators.com. Key safety advocates argue that advanced training devices should be available for every helicopter type and are pushing to close the gap between the price of those devices and the budgets of flight schools and their students. That is expected to drive demand for devices like Aerosimulators in coming years. Frasca’s newest device, the Mentor AATD (Advanced Aviation Training Device) is quickly becoming a familiar sight in flight schools worldwide. Acccording to the company, new orders for G1000 equipped Mentors from Sky Venture Aviation, Purdue University, LeTourneau University, and Vectair cap off a flurry of orders for the popular device which is widely used for training pilots to fly integrated avionics systems such as the G1000 and Avidyne’s FlightMax Entegra. Mentor devices are also in use at West Valley Flying Club, Executive flight Training, Rocky Mountain College, Fox Valley Technical College, and Suburban Aviation among others. The Frasca Mentor is a simulator capable of training pilots to fly integrated avionics systems such as the new Garmin G1000 and FlightMax Entegra as well as conventional instrumentation without investing in more complex flight training devices (FTDs). While compact in size, the Mentor is a high quality simulator with an extensive features list and uses much of the same technology as Frasca’s higher level Flight Training Devices (FTDs). Silver State Helicopters, headquartered in North Las Vegas, has taken delivery of the first of six Frasca TruFlite H helicopter simulator equipped trailers at their facility in Spring, Texas. Two additional simulator equipped trailers will be delivered to San Diego, Calif. and New Branfels, Texas and the remaining three will be delivered to other locations in the near future. The trailer units will be used for pilot training at various locations as needed. Silver State has ordered a total of 22 TruFlite H simulators from Frasca since the launch of the device in 2003. Unison Industries has signed a long-term agreement to provide Autolite aviation spark plugs for all new Lycoming aircraft engines. The three-year agreement is part of a broader agreement to supply complete ignition systems valued at more than $10 million. For years, Unison has provided Lycoming with piston engine ignition components, including Slick magnetos, Slick harnesses and LASAR electronic ignition systems. Increasingly, the company said, aircraft owners are specifying Autolite spark plugs when their Lycoming engines are overhauled. Autolite aviation spark plugs are manufactured in Unison’s highly automated facility in Rockford, IL. "This agreement further strengthens our relationship,’ said Paul Theofan, Unison’s vice president of marketing and sales. "We are proud of the quality we build into all of our ignition systems products and certain that the performance of our Autolite spark plugs will meet or exceed Lycoming’s requirements." In a related development, Unison Industries’ wholly owned subsidiary, Aircraft Parts Corp., was selected by Bell Helicopter to provide starter-generators for the Bell 417 single and 429 light twin helicopters. The contracts have a potential value of more than $6 million over the 10-year life of the programs. Using its patented "long life brush" technology, APC will supply upgraded 150 and 200 amp starter-generators to Bell, which boast high power output, advanced design, and proven reliability. Rotorcraft Enterprises new Start Pac Mini Power Supply is designed to power up 24/12-v aircraft systems. The voltage output is set to 28.5/14.2 v to simulate the same voltage as when the aircraft is running under power. Maximum amperage output is 25/50 amps which is adequate for most light aircraft. If overloaded, the Mini Power Supply will trip off and reset itself after a short period of time. This unit is ideal for powering up new aircraft with glass cockpits. When utilizing the Mini Power Supply, the entire aircraft electrical system can be powered up for GPS programming and electrical maintenance. Thus the on board aircraft battery can be saved for starting. The Start Pac Mini Power Supply is available in both 24 and 12 Volts output. Intelligent Automation Corp. has gained FAA Parts Manufacturer Approval (PMA) for the IAC 1209 Modern Signal Processing Unit (MSPU), an advanced diagnostic Health and Usage Monitoring System (HUMS). The IAC 1209 HUMS is a high-performance, lightweight and affordable system designed to meet FAA DO-160D / DO-178B Level D standards as well as CAA CAP 693.